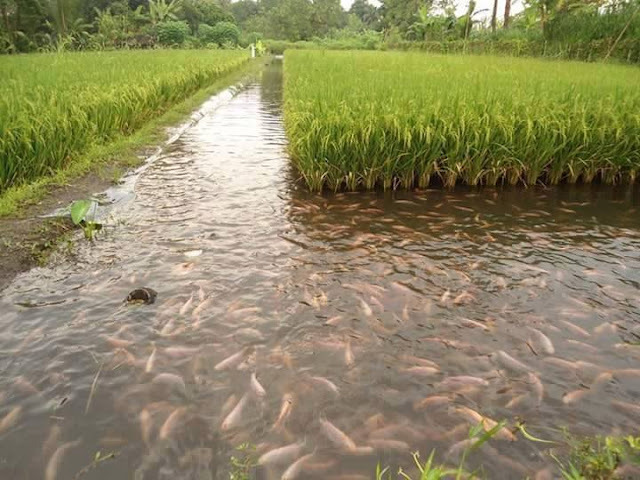 Rice-fish culture involves farmers introducing fish into their rice fields .This technique is good for both the fish and the rice. Safely hidden from birds, the fish thrive in the dense rice plants, while they in turn provide a source of fertiliser with their droppings, eat insect pests and help to circulate oxygen around the rice field. Farmers tell us that keeping fish in rice fields can increase rice yields by up to 10% – plus they have the additional supplies of fish.